Wine is not a new story for Cyprus. Recent archaeological excavations which have been undertaken on the island have confirmed the thinking that this small tranche of earth has been producing wine for almost 5000 years. The discoveries testify that Cyprus may well be the cradle of wine development in the entire Mediterranean basin, from Greece, to Italy and France. 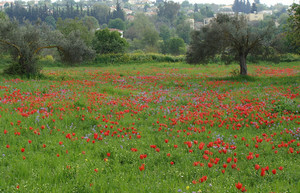 We start our journey from Paphos northwards on the B7 road to Polis. After a short drive, and while still surrounded by shops and residences, we make our first stop. We turn off left, at Mesogi, into the Industrial Estate, where we will visit the “FIKARDOS” winery – one of the first regional producers. Fikardos offers both “varietals” (made from just one grape variety) and blends of several grape varieties. Taste across the range, such as the “Valentina” rosé, the white “Amalthia” and “Alkisti” and the red Shiraz. The winery is open to visitors every day and offers a good perspective of the area’s wine-making capabilities. 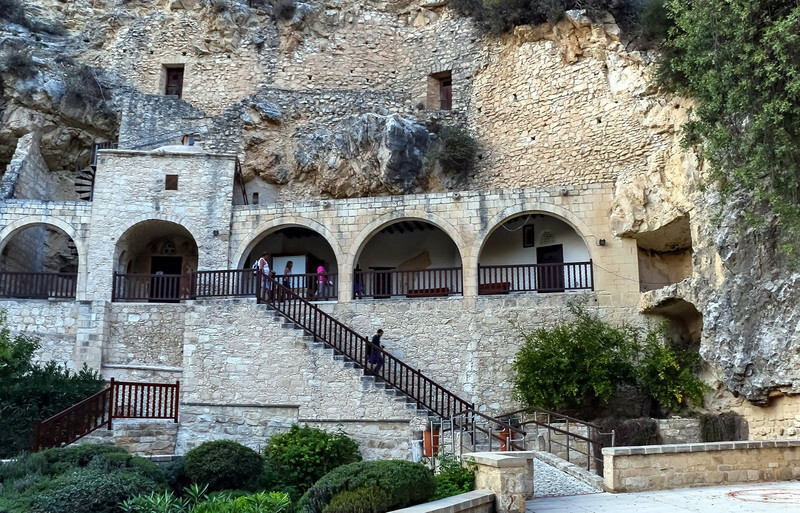 Continue your exploration by hire car and make a quick visit to an interesting Monastery of Agios Neofytos. Take the turning off the B7 at the top of Mesogi. Drive the car through the village of Tremithousa, passing an area of considerable beauty that leads to a road through a verdant valley. The monastery is in a beautiful location at an altitude of 412 metres. The site is enhanced by a marvellous square surrounded by sycamore, cypress and poplar trees. The Chapel, carved out of the rock in which the hermit saint (1134-1214) lived, is well preserved. This is one of the must see places whilst in Paphos. Now to continue your journey… take the road to Stroumpi with its twists and turns, with scenic views upwards and down into gorges. The village is sited at an altitude of 450 metres and is deeply involved in vines and wine. One kilometre from Stroumpi, on the road to Polemi, lies the “KAMANTERENA” Winery of the Co-operative organisation SODAP. 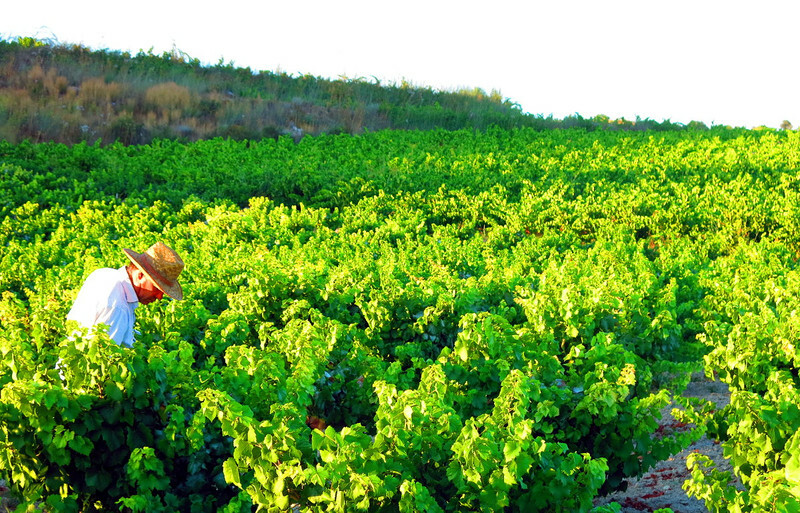 It is the largest wine plant in Paphos and in Cyprus. A functional building with thoroughly modern equipment, a range of successful wines is made here. Its “Islands Vines” and “Mountain Vines" are worth trying. At Polemi village, a few kilometres eastward, is our next winery car stop - “TSALAPATIS WINERY”. Moderately sized, it makes 100,000 bottles a year of quality wines from privately owned vineyards. 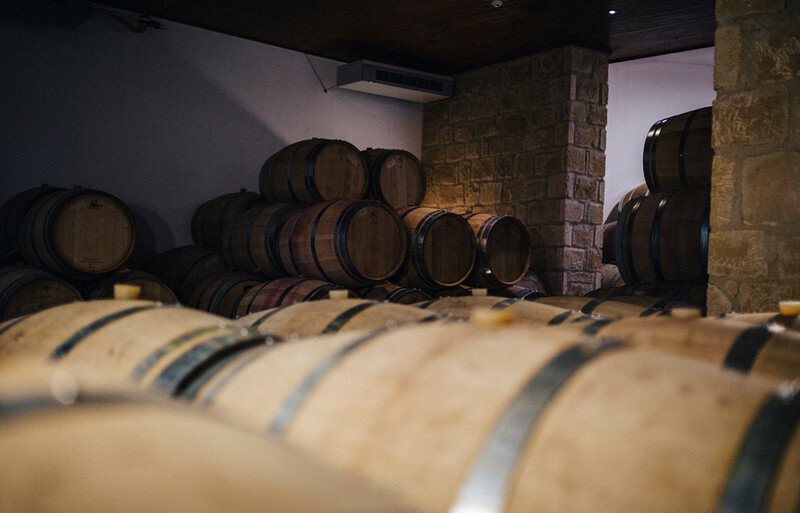 In the naturally cool below-ground wine ‘caves’ you can taste and buy from an interesting range: Xynisteri, but also Sauvignon Blanc and a red blend of Mataro and Lefkada. We continue our travel with the hire car of course north-westerly and leave the B7 to take a left turn (E711) for Kathikas. And so to Kathikas set in a patchwork of vineyards, trees and stone walls. It is an area with plenty of photo opportunities. Kathikas has two wineries, both worth a visit. First “K&K VASILIKON WINERY” has an excellent reputation for its two staple wines. The white “Vasilikon” is fresh, fruity and ideal with local seafood. 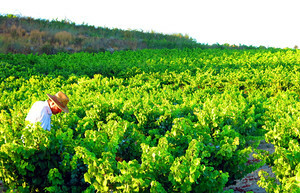 The red “Ayios Onoufrios”, blended from Mavro, Mataro, Cabernet Sauvignon and Grenache is a best-seller. The Kyriakides brothers, who founded the winery, produce 300,000 bottles annually. Their wines are made from grapes grown in their own vineyards. Visitors are welcome by appointment and may taste the wines and tour the winery. 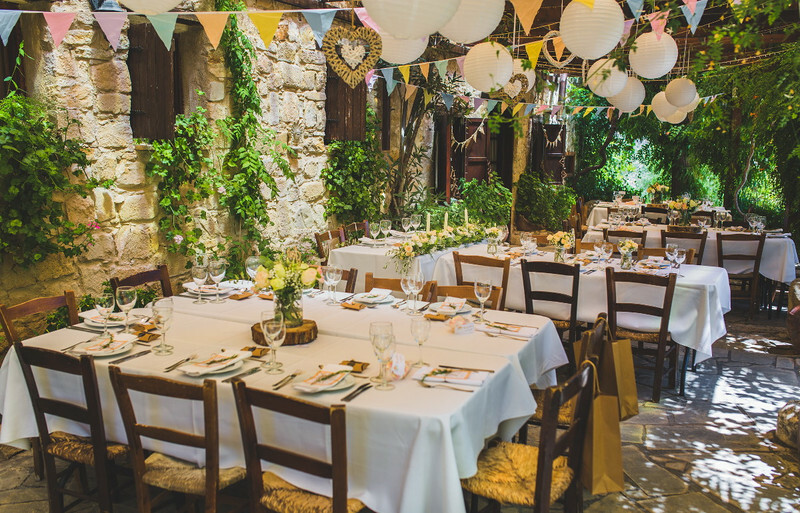 On the other side of the village you'll find “STERNA” winery, a popular destination, where people happily sit on the terrace sampling wines and enjoying food. Here the cave where the wines are stored is a very genuine one, around 2,000 years old. At weekends your guide could well be the son of the producer, the ten year old Panagiotis! 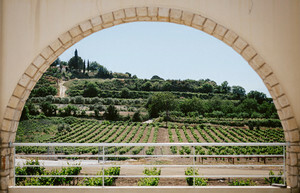 The winery’s range features pungent, earthy wines, which suit local specialities. The grapes come from 140 acres of privately owned vineyards. Remember: Bearing in mind that you are in charge of a motor car and that wine consumption should always be made in moderation, if you plan to visit a number of wineries, it is advisable not to swallow all the wine you taste. In all the wineries on our Routes you will find receptacles for emptying your glass after tasting, and for expelling the wine when you have looked, sniffed, swirled and tasted. This route is accessible by all car hire vehicles. Read more about the Aphrodite's Route and the Troodos Mountains Route.